As long as the will is in writing or print signed and witness, it can be written on any piece of paper . However, if there is an ambiguity in the wording this may lead to a dispute on your death, so it is important to take advice before drawing up the will. If your affairs are complex we strongly advise you to seek advice from a Solicitor. When you draw up a will you need to appoint one or more Executors. These are the people who will carry out your instructions laid down in the will. The maximum number is four and the ideal number two. This will normally be your spouse or partner with the proviso that if they do not survive you by 30 days the assets pass to your children, grandchildren or other beneficiaries. You will need to indicate how the estate is to be shared out amongst the beneficiaries. You may wish to consider what you would wish to happen if one of your named beneficiaries pre-deceased you, for example “to my brother…….. but should be predecease me then to …………………….. If you do not include such a clause then the share of your estate which you have left will form part of the deceased persons estate and be dealt with in accordance with their will. 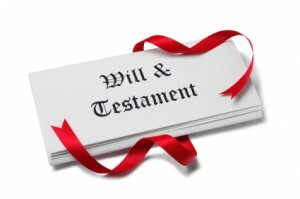 In some circumstances, for example a second marriage it may be necessary to draw up a trust within the will so that the surviving spouse has the right to occupy the property but on his or her death, all or part of the property passes to the children of the deceased spouse.